Villa Lykia, with its incredible panoramic views, beautiful infinity pool and beautifully furnished interior is one of the most sought after rental properties in Kalkan. 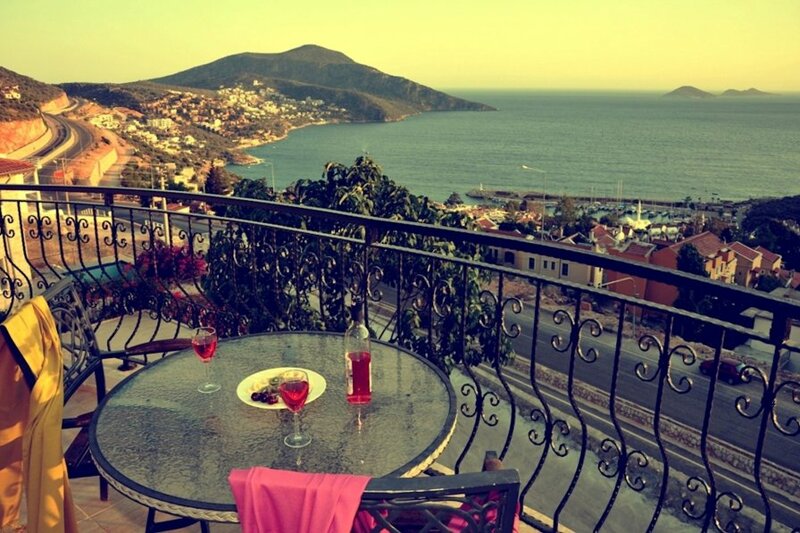 The Villa is beautiful decorated and furnished and extremely well equipped, to ensure that you can relax and enjoy your time in Kalkan in comfort. For the ultimate in relaxation with large and airy rooms, spacious balconies plus a large private sun terrace with infinity swimming pool and private gardens, plus a huge wooden pergola by the pool.. It is built over two floors and features four bedrooms and four en-suite bathrooms. All bedrooms are en-suite and have large private balconies/terraces. Villa Lykia has full air-conditioning throughout and there is a flat screen TV,DVD player and unlimited wifi internet connection. It also has a fully fitted kitchen with a Fridge/Freezer, Oven, Hob, Microwave, Dishwasher and Toaster. Dining table is for 10 people inside and outside by the pool. Villa Lykia has unbelievable panoramic views and a beautiful infinity pool, and you will find that you want to spend all your time here. The pool is surrounded by a spacious, very private patio area, equipped with sun-loungers and sun-shades. Perfect for families and larger groups.